A hospital bed at home is the best bed for frail old people who are sick, with physical conditions and deteriorating health. The special bed similar to the ones you see at hospitals has features that can assist even bed-ridden patients. You can set the height, the head, the feet and the adjustable side rails. The features support the positioning of the elderly for various reasons like eating and drinking, watching TV, avoid sliding down, taking a bed bath, when defecating and peeing. What other equipment do you need for the set up? Besides the bed, you will also need anti-bedsore mattress which prevents pressure ulcers and decubitus ulcers. This happens if the person remains in the same position for a long time due to paralysis, illness, old age, or frailty. Ignoring bedsores can lead to fatal complications. Since you’ll be taking care of a person who has breathing problems like chronic sinusitis, allergies, and asthma, it is highly recommended to have a nebulizer at the ready. It is most effective when used during an asthma attack because it administers medication in the form of a mist inhaled by way of a mask or through the mouth. Besides asthma, it can also be used on those suffering with respiratory problems. Another important equipment is the oxygen tank usually placed near the head of the bed for easy access. As it name implies, it stores oxygen and used in tandem with any medical breathing apparatus like the oxygen mask, nasal cannula, and so on. It helps those with breathing difficulties through a process known as oxygen therapy. This form of therapy is considered as the most common treatment given in hospitals in the developed world. So why not have the same treatment at home, right? You should be careful though. Excessively high concentrations can cause oxygen toxicity which is why you should always check the oxygen regulator. Also identified as the pressure regulator, oxygen regulator is a control valve which regulates oxygen pressure. Its purpose is to match the flow of oxygen by way of the regulator to the amount of oxygen required while continuing to maintain a persistent output pressure. 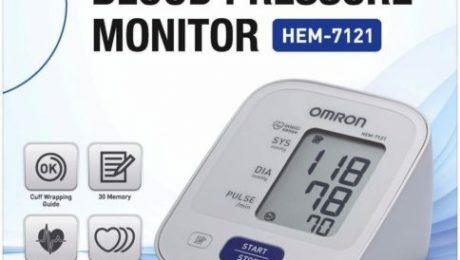 The last equipment that you should always have on a table is the digital BP omron. This device is a digital automatic blood pressure monitor worn either by the wrist or the arm. Unlike traditional BP apparatus, the digital BP monitor no longer requires the need of a stethoscope but just make sure you have good spare batteries at the ready because weakened batteries will provide wrong information. 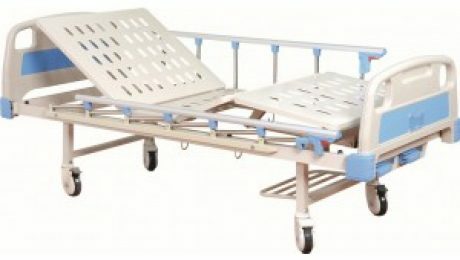 If you are looking for a good hospital bed and health equipment, you can get the best quality from Philippine Medical Supplies. Not only that, they offer more affordable medical supplies you might want to check at their website. Caring for the bedridden is never easy, but having an anti-bedsore mattress will make things a little less stressful for the care giver since this minimizes the risk of having skin ulcers and reduces the caregiver’s effort in turning the patient in bed. And since caring for the bedridden is one stressful task, caregivers find ways on how to lessen the burden by having all the supplies needed right at home. If nursing homes are a popular retreat for the elderly abroad, in the Philippines, it is a practice that many will consider taboo. Filipinos will choose to keep their sick at home. Families teach themselves how to take care of their patients and have all the necessary things available on hand. Here are some tips on how to care for the bedridden at home. Set up the patient’s room that has everything that is needed, as well as emergency equipment such as an oxygen tank. Learn to do basic medical procedures that will help monitor your patient’s health status. This will include checking the vital signs like blood pressure using a digital BP Omron, checking the blood sugar. If your patient takes medication, make sure they take it completely and at the right time. Be at the bedside while he/she takes the medicine, or during other measures such as using the nebulizer. Pay attention to hygiene and proper feeding. Keep linens clean and fresh, wash and bathe, and feed the right way by propping the patient’s head up on pillows or using a spine board in changing positions. 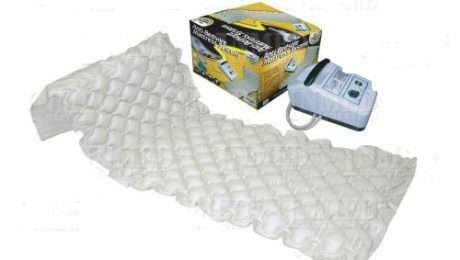 Prevent bedsores by using an anti-bedsore or egg mattress. Also learn the proper way of turning patient to relieve pressure points. Most importantly, always check on your patient. Look in on them regularly and give them something to keep their minds on and let them feel they are loved. The Philippines is a very family oriented country. Filipinos prioritize their families more than anything else and will choose to care for them on their own in times of sickness. When a senior loved one falls sick and becomes bedridden, family members go the extra mile and provide everything that is needed at home just to make their patient comfortable and not stay on a hospital bed. And to get the best materials, Philippine Medical Supplies will provide your needs with just a click. Check out their website to see the variety of medical items that your patient requires. Philippine Medical Supplies will make it easier for you to have your essentials at home. Visit them today. The nebulizer will always be the go to remedy of asthmatics at home. The relief it gives to people having difficulty breathing is a life saver. But it is not just the only thing that can give relief to the symptoms of asthma. Knowing what to do in times of an attack and how to prevent it is important for asthmatics and the people surrounding them, especially at home. It is definitely not easy having asthma, just ask those who have it. You will know how serious it is just by looking at people having asthma attacks. Some even end up on a hospital bed and hooked to oxygen. What exactly causes these attacks? Understanding what triggers it can help a lot in controlling the symptoms that asthma brings. If you don’t want frequent treatments at the hospital and constant pricking of the Terumo syringe disposable there, you should know what causes your asthma attack. Here are some factors that can bring it on. A handy nebulizer, a puff or even your own personal oxygen tank can save you in times of an asthma attack. But you don’t always have to rely on these treatment and medications. You can do some things on your own in order to keep attacks at bay. Know what triggers your asthma and stay away from these factors. Minimize decors that can trap dust. Keep your home as dust free as you can. Use a humidifier to maintain optimum air humidity. Exercise regularly but avoid strenuous activities. Maintain healthy weight and keep your BP in check with a digital BP Omron. Doing these will surely lesson your asthma attacks and keep your body fit and healthy. But always make sure your doctor prescribed meds and treatment are on hand. Just keep your nebulizer and oxygen tank ready with an oxygen regulator. Keeping your body healthy is a priority. This is where treatment for asthma should start. Daily monitoring of your vitals with simple devices such as an ear thermometer will help you achieve optimum health. 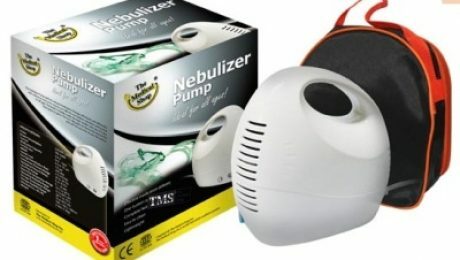 Since devices such as the nebulizer is essential for asthmatics, it is important to get the best one there is. If ever you’re looking for top quality medical supplies for your asthma, just visit Philippine Medical Supplies. They cater to your different medical needs like the ever reliable nebulizer with just the click of a button. Check out their website today. With a bagful of clinical nursing supplies, digital BP Omron and other medical devices strapped to their backs, nursing students determinedly enter the hospital or go on medical missions for another day of clinical education and hands-on lessons. We can never really know what they go through unless we enroll ourselves in nursing. But seeing them take care of patients in order to perfect their skills as they become full pledged nurses is impressive. And the many supplies they carry is quite overwhelming to the average joe. What do they really have inside their nursing bags? If you are not completely determined and passionate about nursing, don’t think about getting yourself in this field. Taking care of lives is no joke, after all. And you wouldn’t want to carry that bulky bag with syringes, a tourniquet and more medical stuff for years unless you really see yourself as a nurse. Going through a nursing student’s clinical bag will let us see the numerous nursing and medical supplies they carry every day. They have an ear thermometer and BP apparatus for taking vital signs. They also have other devices such as blood sugar monitoring gadgets and portable nebulizer kits for their patient’s needs. A micropore tape is necessary for many procedures. This why future nurses and even staff nurses carry them around while on duty. They need it for wound dressing, for instance. And you can’t dress a wound without a gauze pad sterile. You can see these items, along with an alcohol and betadine solution inside a student nurse’s bag. And in the clinical area, syringes are vital especially in giving medications and other treatments. Different gauges of Terumo syringe disposable are always placed in the student’s bag, where it is easily accessible. Just seeing the student nurse’s bag is already exhausting to the person with no medical background. How much more if we see these future nurses in action? Their skills and hard work is something to be thankful for, especially if we get sick. And parents of these industrious students want the best for them and give them the best supplies they can get their hands on. It’s a good thing Philippine Medical Supplies is here to provide your future nurse’s needs and supplies with just a click of a button. Just visit their website and see the wide range of medical items they offer, hassle-free. Visit them today. A hospital that retains important items of medical products in hospital which is prepared for just about any situation which may go through their doors. The character of treatment demands that to be able to offer total treatment, you have to be in control of full products. To enable a clinic to adequately handle individuals, there’s a common set of medical-equipment that hospitals should usually have on hand. These medical equipment materials may usually be identified restored in a reduced price, enabling hospitals to maintain extra stores on stand-by at affordable charges. ECG Machine enable health care providers to keep an eye on the general tempo of the center and determine any problems. 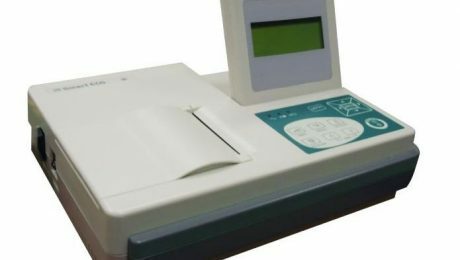 These ECG machine are an essential component of a hospital’s collection, enabling companies to identify normal and irregular rhythms of the center while individuals are under their treatment. Defibrillators are frequently employed to handle life threatening problems including heart arrhythmias, ventricular fibrillation. By providing a restorative serving of power, the defibrillator terminates the arrhythmia and maintains a typical beat to one’s heart. Urine Bag are useful for the selection and momentary safe-keeping of pee. Urine Bag consider the type of Leg Totes, which are secured to the upper-leg, or Drainage Bags, that usually are used while the individual is in mattress or in a wheel-chair. Several Urine Bags are drainable permitting the urinary individual to carry on utilizing the tote to get some time. When the pee carrier is no lengthier useable or unhygienic, the urinary carrier is disposed. Some Urine Bag are actually pee selection bottles that could be multiple-use depending on the manufacturer. The most popular title for the compound of isoprophyl alcohol. This chemical is really carefully associated to the common material ethanol, or having a drink, which can be located in ale, wine and hard-liquor. Unlike having a drink, massaging alcohol isn’t ideal for human intake. It will, but, possess many of ethanol’s substance attributes. For example, like ethanol, it’s soluble in water plus it has a low cooking level. Massaging alcohol’s substance qualities provide it utility in several family programs. Are typically utilized for cleansing pains as well as for cushioning and defense, perhaps not actually for using onto available pains as the free fibers may break aside and remain in the injury. A stitched substance where it is possible to view the personal strings, or non-woven, where there aren’t any threads, simply materials. Ambu Bag linked by lines as well as a non re- inhaling device into a nose and mouth mask or end0-tracheal conduit and employed for synthetic venting. It’s personal-bolstering with area air or via an oxygen resource. Maintaining these health-related materials on hand is essential to the functional achievement of a hospital environment as well as the health treatment offered within it.